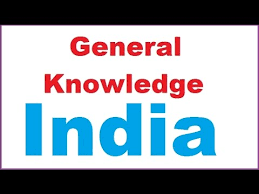 We are giving Important Questions with answers to General Science asked in many competitive exams. And Daily DateWise 26-11-2017 questions will very helpful to you for the forthcoming upcoming Rajasthan Jail Prahari New Exam Date And Syllabus 2017. Rajasthan Jail Prahari Re-exam Admit Card 2017 and RAS, IAS, UPSC, RPSC, 1st, 2nd, 3rd Grade Teacher, REET CTET, LDC, SSC CGL, IBPS, MBA, CAT, MAT, SBI-PO, RBI And Railway, Indian Army , Rajasthan,Delhi Police Related Study material And All competitive exams and will increase your intelligence skills. Question. (1) Who were the saints from Maharashtra? कौन संत महाराष्ट्र से थे? Question. (2) Which is the oldest university in India? भारत का सबसे पुराना विश्वविद्यालय कौन सा है? Question. (3) Which guru of the Sikhs was born in Patna Sahib? सिखों के किस गुरु का जन्म पटना साहिब में हुआ था? Question. (4) Sikh Guru Arjun Dev during whose reign? सिख गुरु अर्जुनदेव किसके शासनकाल में थे? खालसा की स्थापना किसने की? Question. (6) Who is the author of ‘Mian Ki Malhar’? राग ‘मियाँ की मल्हार’ का रचियता किसे माना जाता है? कत्थक कहाँ की नृत्य है? Question. (8) Which dance form is associated with Mask dance? मुख़ौटा नृत्य का सम्बन्ध किस नृत्य शैली से है? Question. (9) Which is not a classical dance? कौन-सा एक शास्त्रीय नृत्य नहीं है? Question. (10) Which dance originated in northern India? किस नृत्य का उद्भव उत्तर भारत में हुआ?